Pharmacy technician training programs are an essential part of the preparation to perform technical functions under the supervision of a registered pharmacist. The training prepares students to work in retail and institutional pharmacies where the role and responsibilities of the technician vary. 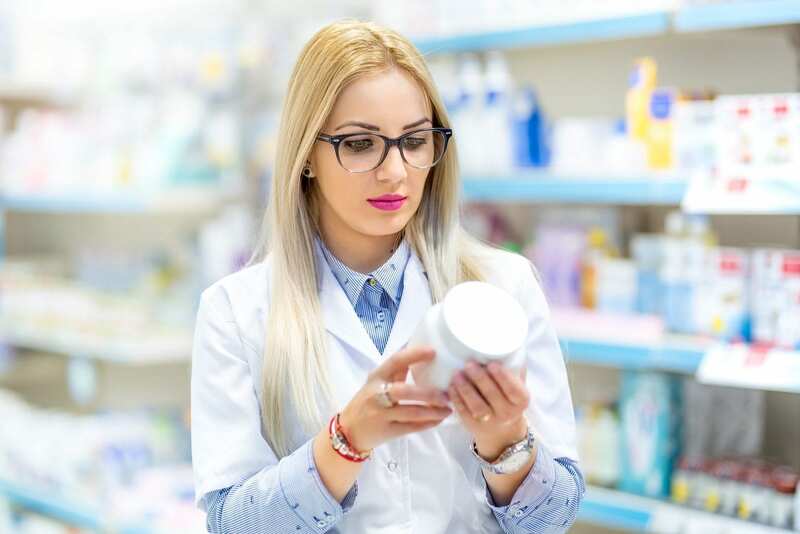 Pharmacy technicians assist pharmacists by compounding, packaging and labeling medications, maintaining prescription records, counting tablets, and dispensing medications and other health care products to patients. 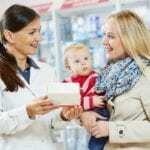 Additional duties include entering prescriptions into the computer, verifying information on the prescription, keeping a record of patient information, preparing prescription labels, handling insurance claims, and referring questions related to prescriptions and drug information to the pharmacist. Technicians who work in hospitals will also have to assemble a 24-hour supply of medication, package and label dosages separately, maintain a patient’s medication profile, and deliver medication to the patient. Pharmacy technicians must be concise and accurate to prevent medication errors. They must have good oral and written communication skills, knowledge of basic computer systems, physical strength and stamina, and be able to follow instructions and perform basic mathematical operations. By the year 2020, all applicants must complete an accredited program to apply for certification through the PTCB. Many employers are requiring certification as a precursor to employment. The pharmacy technician diploma program at Sullivan University may be completed in as little as 12 months. The program is academic based and operated by the College of Pharmacy at the Sullivan University System. It is accredited by the American Society of Health-System Pharmacists (ASHP). The school has an in-house compounding laboratory, mock hospital and institutional pharmacies, and a drug information center, so students spend more time learning through practical experiences. The course content is delivered by practicing pharmacists. In addition to classroom instruction and hands-on practice in the school’s labs, students will also complete two separate externships comprising of 100 hours each. One will be at a community pharmacy and the other at an institutional pharmacy. Students will complete a total of 72 credits hours comprising of topics like keyboarding essentials, introduction to pharmacy technician, anatomy and physiology, medical terminology, pharmacy law and ethics, sterile compounding, medication safety, health and safety techniques, community and pharmacy operations ad much more. Tuition for the program is $28,440. Books and supplies cost an additional $2,400. The Pharmacy Technician program at Bluegrass Community and Technical College runs for two semesters. Graduates receive a certificate in pharmacy technician II and are eligible to take the PTCB exam. The curriculum provides didactic and laboratory learning experiences and a real-world pharmacy externship to prepare students to work as competent assistants to a pharmacist. Areas of study include pharmacy law, history of pharmacy, medical terminology, preparing and dispensing of prescriptions, and drug classification. Students must earn a grade C or above and maintain a cumulative GPA or 2.0 or above to progress through the course. Persons wishing to be considered for admission to the program must submit an application to the college, provide official high school transcripts or a passing GED official score report or evidence of completing a homeschool curriculum, official transcripts of all postsecondary education, ACT, ASSET or Wonderlic test results, complete the selective admissions form, and attend a pharmacy technology admission conference or meet with a program coordinator. Tuition for the 48-week program is $5,304. Books and supplies cost an additional $1,500. American National University’s pharmacy technician diploma program provides students with the knowledge, laboratory skills, and field experience to prepare for entry-level employment. Graduates will be prepared to sit the PTCB exam to become a Certificated Pharmacy Technician. Graduates also the foundational preparation to pursue an associate’s degree in medical assisting. The curriculum covers a range of topics, including diseases of the human body, dosage calculations of medications, medical terminology, pharmacy law and ethics, community pharmacy systems of operations, pharmacology, community pharmacy technician, healthcare law and ethics, and an institutional and community pharmacy externship. A total of 48 credits is required for graduation. ANU offers students convenient and flexible class schedules, personalized instruction, experienced faculty, career services, and alumni benefits. Applicants must have a high school diploma or GED, affirm in writing that failing a drug screen or background check may affect their ability to complete the pharmacy externship, and obtain immunizations or proof of immunity. Tuition for the program is $20,130. Books and supplies cost an additional $2,700.